Ed is the founder of Strategic CFOs and the primary CFO/Controller consultant. In addition to directing the Strategic CFOs accounting team, he often partners with tax preparers and other finance professionals to deliver comprehensive financial support to clients. 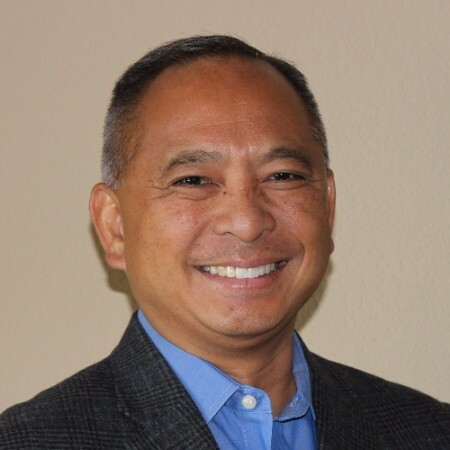 Prior to founding Strategic CFOs, Ed worked as Controller, Director and CFO for multiple companies throughout the Bay Area. He also owned a boutique lending firm with four employees and a collateral creation/distribution company with one hundred fifty employees. Ed received his undergraduate degree from UC Berkeley and his MBA from California State University, East Bay. With more than twenty-five years of finance experience, he enjoys working with senior management and board members to enhance company profitability. During his off hours, Ed enjoys cycling, golf, and spending time with his family. (Shawn Flynn) Today we have the founder of Strategic CFOs.com Ed Gines. He works with early stage companies. He's been in Silicon Valley for a number of years, helping them get ready to either be acquired, raise financing, or just get to the next step. Ed, welcome to Silicon Valley Successes and can you please give an introduction to yourself for everyone at home? (Ed Gines) Absolutely. I'm at Strategic CFOs and we have staff here domestically as well as internationally over in the Philippines. Two areas we concentrate on are the CFO component of the business, and then our staff is more of the accounting services, that nuts and bolts of the business. (Shawn Flynn) When an early stage company comes to you what are their normal problems? (Ed Gines) I've seen this as the three C's, its compliance, cash flow and clarity, clarity meaning the financial statements. Oftentimes you read them and wonder what this is. An investor needs a little bit more than just saying, what is this? They need the financials to read a story, for example, part two B cash flow, what's our burn rate (how much cash are you guys going through on a monthly basis)? And when are you going to run out of cash, because you'd better get your next round of funding done sooner rather than later and prep for it. So, if your burn rate is a hundred thousand dollars, you better have $800,000. (Shawn Flynn) So if I have $800,000 left in the bank and my burn rate is $100,000 when should I really start thinking about raising more money, 2 months from now, six months from now...? (Ed Gines) You should get ready now because it takes a while to get funding because you're beyond your friends and family at that point. Now you've got your series A, your angel, there's a number of procedures that have to take place. And, going back to those three C's, it's the compliance part of the business that can really knock the business. Compliance is the government filings. (Shawn Flynn) We tend to be a procrastinating people waiting until the last minute to file the necessary documents. (Ed Gines) You have to do a little prep work in order to get the filings of the corporate returns and the extensions. But not only that, you've got sales tax out there, depending on the type of product. I know there's SAS (software as a service) companies out there, and one needs to know how they're recognizing the revenue so that if you're even generating revenue in terms of the SAS companies, are you amortized? And there's a lot of startup companies here that are in the SAS world. (Shawn Flynn) If it's an early stage company that hasn't raised money or has zero revenue, do they need to file taxes? (Ed Gines) Absolutely. We have to stay in compliance, that's the first C, compliance. What it means is that if you haven't filed your returns and you're trying to raise investor monies, they're not going to give you the monies because you aren't compliant with government regulatory filings. Why would that affect an investor? Wouldn't the investors say, hey, it's not compliant today, he'll just get it done. He'll talk to Ed tomorrow, he'll be okay. Then I'll write a check. One has to remember the government always has the first position. So, if there’s money's owed, it's not going to go to the investor, it's going to be paid to the government. The compliance part is the investor worried about his money being returned into him. That's why compliance is so important, so you can have cash flow. (Shawn Flynn) So who hires you more often, the founder of the startup, or an investor wanting to invest in the company? (Ed Gines) Generally, I have founders and we're helping raise money. We just did a two and a half million-dollar round. (Shawn Flynn) How much equity was given up for that round? Can I ask? (Ed Gines) Absolutely, you can. Two and a half over 25. (Shawn Flynn) What does that mean? (Ed Gines) If the value of the company is 25 million and they participated in giving two and a half million dollars. That's 10%, right? Two and a half over 25. (Shawn Flynn) Back to that investor? What stuff is he looking for from you to make sure it's a good investment? (Ed Gines) We're looking at the forecast. That's part of it and the believability of the forecast too. So, we're testing the model to make sure that if we're going to go out in the street and raise money, does it make sense? You really have to make sure that in fact you are projecting to financial growth. Has the company gone through proof of concept? Are they at commercialization? (Shawn Flynn) With the startup wanting to raise funding you said forecast, would the forecast be for the next six months, next year. next five years? What's the forecast? (Ed Gines) It should be detailed. And the way we structure it, is that the first year or two you show it on a monthly basis. You also can show it on a quarterly basis but years, three, four, five that's on an annual basis, but we still forecast it correctly. But you don't want to overwhelm your investor with all of this minutia detail. You have to be able to express those financials to tell a story. And on years, three, four, and five, the story gets a little bit like Rose colored glasses. Oftentimes, investors are cutting their investment in half right out of the gate for evaluation purposes. (Shawn Flynn) So on that year one, those that forecast do so based on what type of information? What is normally given to prove that it's a possibility that this forecast is real? (Ed Gines) So, we happen to be in December of 2018. January through November, historical data is already available for the company. So that's not part of the forecast. But that's the reality in order to build what it will probably look like in December, and then build it out forward for the remaining four years. (Shawn Flynn) Okay, so you take the past year to look at the growth month over month, and then take that information, then do the same math for the next years 2,3,4? (Ed Gines) We go a little bit deeper in our forecasts where we're building out the development team. (Shawn Flynn) Tell me about the development teams, just the engineer's product, correct? (Ed Gines) We're just talking about head count, how many more do you need in terms of building out the next generation, etc. (Shawn Flynn) So having questions like that would you go to the investor and say I need four or five more engineers, that's why I need this much money? (Ed Gines) Yes, because the burn rate is increasing at this point in time. (Shawn Flynn) And the burn rate is? (Ed Gines) The expenses. A lot of these development guys and ladies need to get paid. They're not living off of equity. They can't cash in their options, right? You can't put that on the table and eat it. So, part of the burn is the expenses of paying for your development team. (Shawn Flynn) There's a term used earlier, run rate. How are burn rate and run rate related? (Ed Gines) The run rate is what's your burn rate, as well as what's your growth rate. (Shawn Flynn) Ed, question for you. I know you have a bunch of examples that you talk to people about how you work with them and use cases. I remember one of them was cleaning up the paper Blizzard. Can you talk about that? (Ed Gines) Yes. Ideally for me our office is paperless. it's a hybrid. But if oftentimes, you go into the startups and there are papers everywhere, or things may be electronic, but you have to start sorting things out the right way, so information is accessible. You need to build the data room necessary for investors, because they're going to be asking for those documents, those supporting documents. (Shawn Flynn) The data room is what? (Ed Gines) It's a build out, it may be equity related, debt related, it could be expense related. It's just different areas of the financials that you need to support. Why did we have this transaction? What is this expense? Click and there it is. (Shawn Flynn) Does that mean paperless, meaning I can just put everything in QuickBooks and then we're done? (Ed Gines) Two things. The data room is external QuickBooks we'll put together. Audit capability is that there are attachments to the accounting software i.e. QuickBooks. This data room is at a higher level transactional over at the” I'm in QuickBooks” so that it's very easy to find. (Shawn Flynn) Going back to when a startup comes to you and he doesn't really know what he's doing, should he hire a bookkeeper or accountant or at what stage either one or both, or should he hire a CFO or controller or all those? (Ed Gines) Well, I think it's a migration. It's a path of evolution. So, a bookkeeper would come in nicely initially just to get a little bit of organization. That bookkeeper would make sure that all the buckets are in the right place. A lot of bookkeepers though aren't looking at it from a strategic, from a CFO perspective. So, a bookkeeper comes in and say here's the expenses and the CFO are saying we really should have cost of goods, direct and indirect. We should have the operating expenses listed, the SG&A (sales and marketing, and administrative expenses). R & D (research & development). (Shawn Flynn) So the bookkeeper would mainly input the data, and then the CFO would look at it and decide further, let's put this here, let's put this there and kind of manipulate it around. (Ed Gines) Yes, and at that early stage, you don't need a full-blown horsepower CFO, you just need someone to oversee that the bookkeeping is correct. (Shawn Flynn) So that CFO could actually be someone who comes in a couple hours a week or maybe 10,20 hours a week and just looks over the work that the bookkeeper did. Is that a common thing startup do? (Ed Gines) It is, and I'll go back to the one that I'm thinking about right now. They called me for the forecast. They had no books and they incorporated in April. This is complex, so it took a little bit of myself and my team to get the financials ready for the two and a half million dollars raise. (Shawn Flynn) 25 million valuation in six months, seven months? (Ed Gines) They've been building on it, but don't doubt that investors are buying into it. And so, they're already in production and bringing in revenue. Lucky them, and I'm part of the team. (Shawn Flynn) Congratulations on that. Next question for you. I've heard the term controller, how does the controller work with the CFO bookkeeper? What's the difference? What are the similarities? Or what's the definition and finding role? (Ed Gines) A controller to me is a high horsepower bookkeeper, because they're making sure all the expense buckets are right and if there's revenue buckets too, they're listed correctly. They're more qualified than a regular bookkeeper, they're also looking at historical information. Whereas on the CFO side, we're looking more forward and strategizing what do we need to do, what's the headcount that we're going to be doing going forward? What kind of a business model are we building, whereas the controller is just making sure are we representing history correctly? (Shawn Flynn) At what stage would a company have a CFO, a controller, and a bookkeeper? (Shawn Flynn) In that raising funds presentation, how important is the controller or the CFO in that presentation? (Ed Gines) The easy way to say this is adult supervision. They want to know who's managing the funds that's just been brought in. They want it done correctly. A controller might be able to see that and again, that's historical data they're working with to make sure it's accurate. Are we using the funds that are now in place and are we making the best use of the investor? (Shawn Flynn) Do any investors go to the startup and say,” We think you've used the funds incorrectly, we would prefer you to use them in this area, or this manner moving forward,” and then the controller or CFO goes yes, or no? How does that relationship or conversation go? (Ed Gines) That's a complex question. It really is. We go through the board to make sure it's cleared if we're making some big moves. That's part of the forecast. That's the budget that we're putting into place. And that's just fiscal due diligence on my part, to make sure that in fact, what we said we would do based on the forecast on the milestones that are required. Have we actually done that so that a CFO in part of the board meetings is able to give the investors comfort that we are making our milestones and if not, why not? (Shawn Flynn) To change a little bit. There are two other examples. I distinctly remember the first one was the paper Blizzard and the second one was preparing for raising funds. How would you as a company that's been around two years, three years and wants to raise their next round, and their team of four is in a pretty early stage? They come to you and how would you prepare their documents or their papers for raising funds? (Ed Gines) At some point in time the financials have to be audited so we have another audit team (someone other than myself) who was external of the company so they in fact are independent. I'm more internal so I can't audit my own self who prepared financials, but it would save having to pay for the audit. (Shawn Flynn) Can you again tell me some of the steps you use to help them prepare for going to investors? (Ed Gines) Back to the fundamentals and then we'll go fancy. Are we compliant? Have we met all the governmental requirements of making sure that we can run the business, and can we run the business both at this city, the state and the federal level? That one financial statement presentation tells a story of what has happened and what is going to happen going forward. Those are all encompassing but that's the foundation of what the financials need to show. (Shawn Flynn) How is preparing a company to raise money different than preparing a company to be acquired? (Ed Gines) It is one in the same because you're starting to look at it from an investor's perspective. Is the corporation bidding being done in the exchange, is it a stock sale or is this an asset sale? (Shawn Flynn) Stock sale, asset sale, who would prefer what? (Ed Gines) I know oftentimes what we described as a stock sale is really an asset sale because they don't really want the history of the company, they just want the technology. They're just buying the assets and saying the rest of its you guys can keep. It's cleaner for the acquiring company at times just to do an asset sale. It depends on what's important to the investor as well as to the founders. I don't think it can be expressed in 30 seconds, the advantage of one to the other. (Shawn Flynn) So we've talked about a lot of things today. We've talked about early stage companies, getting them ready for fundraising to be acquired. We've talked about the three C's compliance, cash flow and financial statement clarity. We've talked about the interactions between investors and the entrepreneurs. We've talked about bookkeeper versus controller for a CFO, and when you bring them in in different stages, how they work together, the pony show, or however you like to call it, the road show. So, when they're going out to raise capital, they have the confidence that's needed by the investors to show who's is managing the money and how it's being managed. (Ed Gines) Yes, they want someone on the back end, like me a conservative making sure that the monies are well protected for the benefit of the investors. But they are also looking at the CEO to make sure how believable is this story. How far can this CEO take the company, and if there's a strong management team. It's not always about the financials. That comes secondary. They're looking at the CEO and saying, how strong is your management team? (Shawn Flynn) So that management team, how closely are they looking when it's a very, very early stage company versus at a later stage? (Ed Gines) Sounds like a high risk on a very, very early stage company, so therefore the valuations are lower, it's risk versus reward. (Shawn Flynn) So at the very beginning of a company, when it has no revenue, when it has no money, what are the investors looking for? (Ed Gines) Oftentimes you're still at family and friends just saying is this thing real? Is this proof of concept stage or earlier than proof of concept? How far along are you in terms of building a viable commercial grade, revenue driven company? Once you're there it's a good feeling but lot of companies, unfortunately, don't make it there. (Shawn Flynn) So that early stage when it's just friends, families, and fools they sometimes say, what does that look like from the accountant or bookkeeper's work? Maybe they found 20 people who have written a $2,000 check each for the company. (Ed Gines) I bet you the paperwork's just atrocious already right out of the gate. So, for a true investor to come in, that's got to be cleaned up. Are there executed documents? Are there really stock purchase agreements in place? Are the minutes all put together? minutes? Do you have legal counsel already set up so that it is prepared for the true investor to come in? Because those early stage companies, they're just flying by the seat of their pants, just trying to a make it and the paperwork is secondary. But at some point, in time, the paperwork becomes fundamentally important. (Shawn Flynn) Ed, I've heard you have something called the project tracker. What is the project tracker? (Ed Gines) We manage many companies and for me to just go into Company A on Monday, B on Tuesday, C on Wednesday, I have to keep the solid track. What projects are we working on? Who's responsible for different ones? The start dates? The End dates? How much have we completed? It just keeps moving forward. So, it keeps us on track as to what's needed by the company. It's my report card. Have I done my job for Company A on Monday because I've got to flip my hat on and go to Company B? (Shawn Flynn) Again, what's that project tracker look like? (Ed Gines) It's not necessarily dealing with only one company because as a fractional CFO, we need these tools in place to make sure that we are keeping track with each different project. One, may be SAS, one may be blockchain. The third one may be construction. (Shawn Flynn) So if you're a startup founder and Ed is sitting across from you. What information do you wish he would give you? What is the best information that you could give a startup founder? (Ed Gines) Make sure that you believe in your product and keep moving forward! The compliance absolutely is important. As we all know, success in startups is challenging already. I don't want to throw in horsepower unnecessarily unless it benefits the founder right away. But having a bookkeeper initially is important because you have to pay your payroll. (Shawn Flynn) So Ed, can you tell people how to reach you. (Ed Gines) I'm at strategic CEOs, we have two areas: CFO consulting, and our accounting staff both domestically and internationally that help me see the project tracker Monday, Tuesday, Wednesday through Friday. (Shawn Flynn) How can people reach you if they want to hire a strategic CFO? (Ed Gines) Our website strategic-cfos.com/ there’s a little hyphen between the two cs.com and they can always reach me there.